1182 place | Vector illustration in rank M-rank: Realistic computer or Pc monitor isolated on transparent background. Vector mockup. 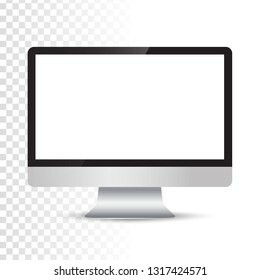 Realistic computer or Pc monitor isolated on transparent background. Vector mockup.